Point-of-sale (POS) apps are tools that retailers and individual sellers can install on mobile devices to accept credit card payments, track sales and inventory, and manage various business functions. We compared eight top-rated POS apps in terms of price, device compatibility, online integrations, and functions that meet most small business needs. The top feature we looked for in evaluating best the POS apps is the ability to access each app from your own device. Not all POS apps let you do that. Some require you to purchase devices preloaded with their software, which increases startup costs. Frankly, there are plenty of terrific free and low-cost cloud-based POS apps that do everything a small business needs. Device compatibility: We only looked at POS apps that business owners can use on their own devices, such as iPads, iPhones, and Android products. Price: We looked at how much each POS app costs, including monthly software fees, startup fees, hardware costs, and payment processing. Payment processing features: We prioritized POS apps that have built-in payment processing or easy integrations with popular merchant services providers. Ease of use: POS apps need to be simple to use since they are operated on touchscreens and in busy retail environments. Business management features: We evaluated the capabilities each POS has for managing inventory, employees, customers (CRM), and more. Sales reporting and analytics: We researched the insights and information each POS app can provide to business owners. Based on the above criteria, Square is our top choice for mobile POS app. Square is free to use, has tons of great features including built-in payment processing, and can be used on any Apple or Android device. Plus, Square comes with a free card reader for accepting payments. Square has a sleek design that is easy to use for business owners, employees, and customers. Square is the best free POS app for startups and small businesses because it combines credit card processing and a suite of business management tools in one app. This comprehensive approach makes it fast and easy for a small business to get up and running with the free Square POS app for iOS or Android. The Square POS app has no monthly, startup, or cancellation fees, but Square does charge a fee each time you process a credit card. However, recording sales made via cash or check costs you nothing. There are hardware costs if you want a countertop register setup, but not if you can run the Square POS app on your Apple or Android mobile device. Square has flat-rate payment processing that is one of the most affordable solutions for small businesses with average transactions below $20. Square’s payment processing is built into the mobile POS app. There’s no application process, fee, or monthly minimum to use Square’s payment processing. Funds from transactions are generally deposited into your account within one to two business days. Square can also accept payments offline, which is key for mobile businesses like market vendors and food trucks. Feature-wise, Square meets or beats many POS apps that charge monthly account fees. With its $0 per month price tag, any startup can easily launch with a full business management toolkit. Later on, when growth demands advanced features like payroll or loyalty programs, users can turn on added functionality as needed with low monthly fees. Square’s POS app can be downloaded and used on Apple and Android devices. Card readers can be plugged into smartphones and tablets via the lightning cable on Apple or the headphone jack. There are also Bluetooth options for card readers. 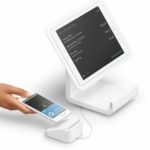 If you do not have an Apple or Android smartphone or tablet, Square also sells complete register kits like Square Register and Square Terminal. Using one of these products will also give you a discounted payment processing rate. Square comes with a suite of business management features, including inventory management, sales reports, and a customer directory. Businesses can add additional features like payroll, employee management, loyalty programs, and marketing for an additional monthly fee. The management features included with the free Square app are basic, but cover all the essentials that you need as a small or startup business. Square has a feature called Square Analytics, which businesses can access through the website or by downloading Square’s Dashboard app. Square’s analytics run in real-time, so there’s no need to wait for end-of-day reports. Square includes insights such as top product categories, percent of new versus repeat customers, average customer spend, and sales by time of day, employee, and more. Square POS app offers support via phone, online form, and user forums during business hours, plus an in-depth knowledge base. Phone support is available Monday through Friday, from 6 a.m. to 6 p.m. Pacific Time, but Square’s online knowledge base and tutorials are the best you’ll find among our top POS app picks. The biggest downside of the Square mobile POS app is that you can’t use another credit card processor with the software. To benefit from the Square POS app’s many free features, you must use Square as your credit card processor, which can be a more expensive option if you have average transactions above $20 or $30. Overall, Square has great reviews. Users like that Square is free and easy to use. However, Square is one of the largest small business and startup POS apps on the market and in the past, users reported spotty customer service. But that trend is improving and users overall seem happier with Square’s customer support in recent years. Visit our Square reviews page for more details. It’s very easy to get started with Square and start using the free POS app right away. First, visit Square’s website and sign up for your free account. Then download the Square POS app, configure your products, and you’re ready to sell. Visit Square to create your free account. Lightspeed POS is a retail app designed for established businesses and high-volume sellers. Lightspeed comes with a robust toolkit including advanced inventory management and custom report builders. Lightspeed isn’t a free mobile app like Square, and is designed for use on tablets, but the advanced features are an unbeatable value for large and specialty retailers. The Lightspeed POS app has monthly fees based on your number of registers and the version of the app that you need: retail, restaurant, or ecommerce, detailed below. Advanced reporting features can be added for a fee, plus you can expand Lightspeed’s already impressive features with add-ons from third-party providers. Lightspeed POS works on Apple, Android, Mac, and PC platforms, so you can build a mobile payment or register solution with hardware that meets your exact needs. Lightspeed now has built-in payment processing with Lightspeed Payments. Lightspeed offers payment processing at a flat-rate fee of 2.6% plus 10 cents per transaction for in-store payments through Lightspeed POS, which is a competitive rate, especially for high-volume sellers. Like Square, Lightspeed also has an offline mode for processing payments without an internet connection. The Lightspeed POS app has everything a high-volume business needs to run efficiently. However, because the features are more robust, Lightspeed takes time to set up and customize. Unlike POS apps from Square, PayPal, and Shopify, you can’t sign up and immediately start processing credit cards. However, Lightspeed’s free onboarding session helps you connect your payment solution and get up and running. Once setup is complete, you’ll find a wealth of high-performance tools at your fingertips. The Lightspeed POS app delivers an array of advanced business management features within one system. Most notably, its advanced inventory tracking, excellent purchase order features, and direct integration to supplier databases help you efficiently manage stock and purchasing tasks. Lightspeed also offers different versions of its app, with features designed to meet the specific needs of retailers, restaurant, and ecommerce businesses. Lightspeed POS can run on iPads, Android tablets, and iPhones. You can also run Lightspeed on a desktop, if you prefer. Like most of the other POS apps on our list, Lightspeed can function on a variety of devices and does not require a specific tablet or desktop purchase. Lightspeed has excellent business management features including inventory management with bulk-upload features, add multiple sizes, colors, styles, and so on of the same product, create custom low-stock notifications, and more. With Lightspeed, you can also save time and create more efficiency by ordering products directly through their centralized, integrated product catalogs. Lightspeed also has a customer directory feature. Plus, businesses with multiple locations can manage everything for all locations under one dashboard. Lightspeed also has top-of-the-line reporting features. Pretty much every POS app will provide sales reports including daily totals and even hourly totals. 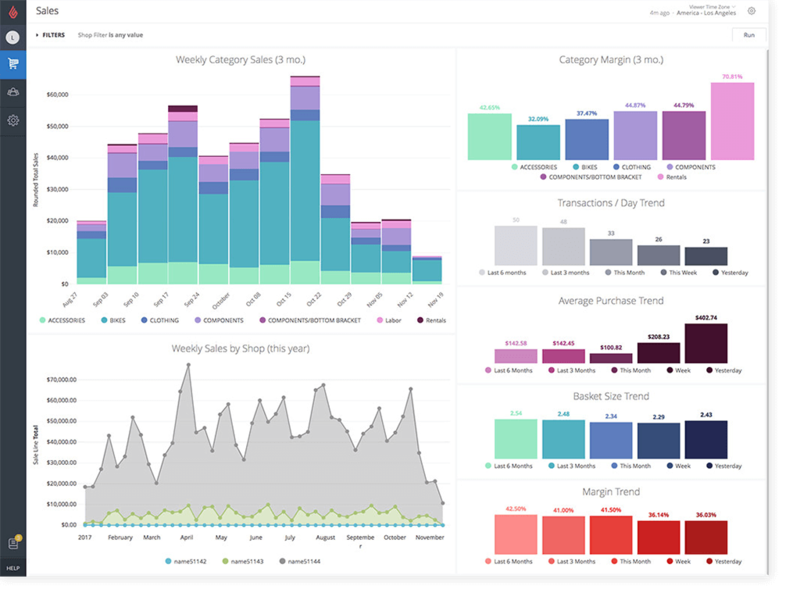 But Lightspeed allows businesses to create custom reports with a variety of data points including time of day, day of week, employee, product, product category, type of customer, and more. These reports also provide actionable insights into product ordering and employee staffing. Reports can be saved for future use, downloaded, and exported. Plus, the reporting tool automatically creates visuals like graphs to go along with the data. Lightspeed POS has a very good customer service record. Phone support is available 24/7 via a callback request system. This is a great feature for businesses that don’t operate on a nine-to-five schedule. Plus, you can chat with support within your Lightspeed dashboard during business hours (Monday through Friday, 9 a.m. to 9 p.m. Eastern Time, Saturday through Sunday, 10 a.m. to 4 p.m. Eastern Time) and send email as needed. Lightspeed’s POS app also has a comprehensive online knowledge base. With Lightspeed, some things like email marketing, employee payroll, and gift card tracking are only available via third-party add-ons. These add extra fees and require a separate account setup and integration. For a small retailer, that can be a bit much. Lightspeed has excellent reviews. Users like the detailed features including robust inventory management and reporting capabilities. Lightspeed is also constantly evolving, adding new features and tweaks. Previously, many reviewers had wished for more integrated payment processing options. As a result, Lightspeed rolled out Lightspeed Payments, so that is no longer a complaint. Visit our Lightspeed Retail reviews page for more details. Lightspeed requires a little more set up than Square, but if you’re a growing retailer, it’s absolutely worth it. To get started with Lightspeed, visit the website and request a free demo. They will walk you through all of the features in detail and answer any questions. Then, you can try Lightspeed free for 14 days before signing up. Visit Lightspeed to get started. Loyverse is a free POS app that includes a free loyalty program, and works on both Apple and Android mobile devices. Loyverse delivers a very respectable set of sales, payment, and inventory management features. Plus, it offers a few extended features like staff management and advanced inventory for low monthly fees. The Loyverse POS app has no startup, monthly, or cancellation fees to use the app on your mobile device or via desktop. Unlike other free POS apps like Square and PayPal Here, Loyverse doesn’t provide credit card processing services. You’ll have to link your own credit card processing account and your provider will then pay fees per transaction. Recording cash and check sales is free. Device-wise, Loyverse can cost you $0 to set up, but that depends on the type of checkout you need: mobile or countertop. Loyverse works on both iPhone and Android systems, so you can download the POS app to your existing mobile devices and use them as e-registers for free. If you need hardware like cash drawers, printers, or tablet stands, you can purchase compatible devices wherever you find a good deal. Loyverse does not have built-in payment processing like Square and Lightspeed. But, you can integrate your payments if you choose one of their processing partners: Worldpay, SumUp, or iZettle. Choosing one of their partners means that when you ring up a transaction, it can sync to the payment processing terminal, which prevents human error and allows for more accurate reporting. However, if you are okay with manually entering order totals and having a system that is separate from the POS, you can choose any payment processor that you like. Loyverse does not have built-in payment processing. The specific fees will vary based on the merchant services or payment processing provider you choose. Loyverse’s free POS app is loaded with features that you can access the minute you download the app to your device. Setup is quick for most users and it takes just minutes to familiarize yourself with Loyverse’s intuitive POS app screens. In minutes, you’ll be creating item lists, entering inventory quantities, signing up customers for the loyalty program, and recording cash and check sales. To accept credit card and eWallet payments, you need to first set up your own payment account from Loyverse’s compatible payment processors. Like most of the systems on our list, Loyverse works on Apple and Android devices—simply download the free POS app from the Apple or Google app store. Loyverse has several other apps you can download, including an analytics dashboard, a customer-facing display app, and a kitchen display app if you are running a restaurant. Plus, you can manage settings and view reports through the Loyverse website. Loyverse’s business management features do pack quite a punch for a free app. While not as robust as Lightspeed or as intuitive as Square, Loyverse does have inventory management, unlimited user accounts, customer relationship management and marketing, and a loyalty program, all for free. For a fee, users can purchase advanced features like product forecasting, integrated purchase orders, and employee time cards. The free Loyverse Dashboard app provides insights such as sale summaries, sale trends, sales by category, and sales by item, employee, and more. The Dashboard app is separate from the POS app. You can also view all of this data plus manage inventory, employees, and customers through Loyverse Back Office by signing into your Loyverse account on the website. Loyverse analytics are no match for Lightspeed, but for a free app, they are pretty detailed. Loyverse customer service is primarily via instant 24/7 chat, which was very handy with fast answers to all of our questions. It also has an active community support forum and excellent online knowledgebase. One big downside to Loyverse is its lack of integrations for ecommerce, email, and bookkeeping platforms. But Loyverse reports it’s working on an open API to support those integrations very soon. Overall, reviews for Loyverse are positive. Users like the features such as the loyalty program, customer-facing display, and analytics that are not typically found on a free POS app. But some reviewers say the program is not very user-friendly, and wish there was a desktop version of the POS. Visit our Loyverse review page for more details. Getting started with Loyverse is simple. First, visit the website and create a free Loyverse account. Then, download the POS app. Next, connect your merchant services account or payment processing service to your POS. Now you’re ready to start selling. Visit Loyverse to sign up for your free account. PayPal Here is the only small business mobile POS app that directly accepts PayPal payments via mobile device. If you already accept PayPal for your online sales and want to also accept payments in-person using your mobile phone or tablet, PayPal Here is the logical choice. PayPal Here is similar to Square in many ways. The PayPal Here mobile POS app has no startup, monthly, or cancellation fees. It can be added to any PayPal business account, including the free Starter plan, so, like Square, it can be completely free to use. Also like Square, it’s an all-in-one solution with your credit card processing built-in through PayPal. Your only real costs are your processing fees per sale, shown below, and card readers or register hardware. PayPal Here’s built-in payment processing is the best part of the app. You can accept PayPal payments and all major credit and debit cards. The funds from transactions are deposited same-day, which none of the other POS apps on our list do for free. And, PayPal Here has the best payment processing rates out of all the option on our list for businesses that have an average transaction below $20. PayPal Here’s biggest plus is its ability to accept PayPal payments via mobile or in-store checkout. None of our other solutions can do that. Another plus is that PayPal tends to deposit payments faster than other credit card processors, including Square. If you already get instant payments from online sales, then you will for your PayPal Here sales, too. The mobile POS app itself is simple to add to your device and set up. Once installed, you can instantly start accepting payments and emailing receipts to customers. You can also create a list of products to add items to orders. However, PayPal Here doesn’t track inventory quantities without a third-party add-on. And, some key features found in other POS apps on our list aren’t available at all. PayPal Here can be downloaded for free on any iOS or Android tablet or smartphone. Sign up for and manage your PayPal business account from the website, then download the POS app to accept payments and view basic business and sales information. Business management tools and features are where PayPal mobile POS app is lacking. PayPal is primarily a payments app, but it does have some very basic management tools like product listings, track items per sale, and the ability to collect customer data. If you are looking for more robust management features from a free POS app, look into Square or Loyverse. 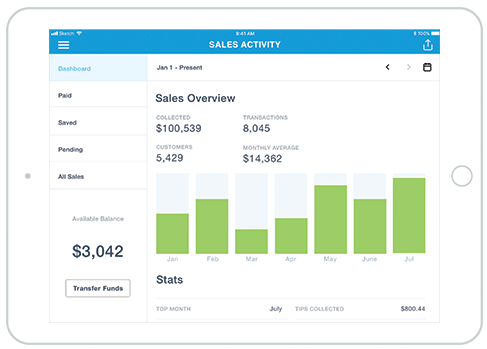 PayPal Here has sales reporting features and a basic custom report builder, including the ability to see sales by date, time, product, and employee. PayPal also lets you track sales across multiple stores or locations. Unlike many other free POS apps that have a separate dashboard for reporting, these features are available right in the main PayPal Here app. PayPal is a behemoth company with many customer service groups. You can contact PayPal via phone using the numbers listed throughout its site and generally get a good response. Being so large, PayPal certainly has some complaints listed online regarding customer service, but overall, we found you can get help when you need it. The hold times are rather long, upwards of 20 minutes, but phone staff was helpful when our calls were finally picked up. Compared to our other POS app options, PayPal Here has a relatively limited set of features. There’s no offline mode that lets you accept a credit card when you don’t have an internet connection. Others, like Square and Loyverse, have a delayed capture feature for offline credit card sales. Basic inventory quantity tracking requires a third-party add-on starting at $24 per month. Plus, to make keyed-in payments, you need to add PayPal’s virtual terminal service, which has a $30 per month fee. All other POS apps in our list support keyed-in payments with no extra fees. PayPal has average reviews. Users like that they can use PayPal Here to accept many different kinds of payments. However, the app’s POS features are limited, and some users say that the payment processing fees are too high. Visit our PayPal Here review page for details. PayPal makes it super easy to use their POS app. Simply create a free business account on the PayPal website. Then, select a card reader, download PayPal Here, and start selling. Visit PayPal to create your free account. Shopify is the leading small business ecommerce platform; it offers a tidy turnkey solution for ecommerce customers that want to start selling in-person. The Shopify POS app ties online and in-person sales within one centralized system. 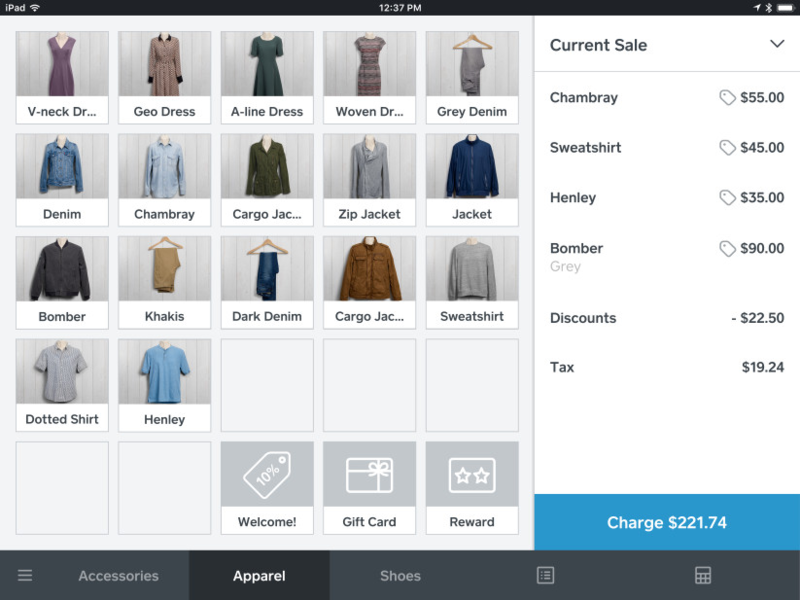 Best of all, the basic POS app is free to add to any Shopify account and works on iOS and Android. The Shopify POS app is a free add-on to any Shopify account. It lets you accept in-person payments using your Apple and Android mobile devices. The $9 per month Shopify Lite plan is the base account. 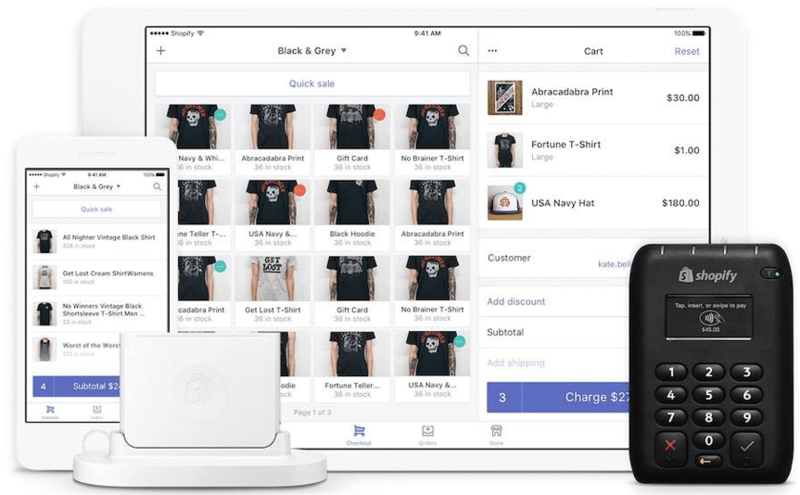 Combine that with the free Shopify POS app and you can sell online via a blog, Facebook Shop, or in-person on your mobile device, and enjoy Shopify’s many inventory, sales, and customer management features. Shopify also offers a full retail POS package for $49 per month added to any Shopify plan. This adds in-store management features like register hardware integration, staff tracking, gift cards, and more for a complete retail management solution. All Shopify plans are month-to-month, but receive a 10% discount if you pay for a year in full and 20% if you pay for two years. Like ShopKeep and Lightspeed, Shopify has optional built-in payment processing. You can choose to use Shopify payments or another processing company. But Shopify charges an additional fee for using third-party payment processing (.5% to 2%). With Shopify Payments, funds from transactions are generally available in two business days. The main downside is Shopify does not have offline payments. Shopify functions on Apple and Android devices which are sold separately. But Shopify has a hardware store complete with accessories for selling online and in-person, such as card readers, cash drawers, tablet stands, and receipt printers. All hardware comes with free shipping and free 30-day returns. Combining Shopify POS with Shopify’s industry-leading online selling features gives you a powerful mix of multichannel sales tools. You can make in-person sales, accept payments, capture customer information, and send e-receipts; you can sell on a blog, website, social channels, and via email campaigns; and even manage shipping, all in one system. Shopify ties it all together so you can seamlessly record and track your inventory, sales, customers, orders, and promotional activities across all sales channels. For additional in-store selling features like employee management tools and countertop registers, you can expand to the $49 per month Retail Package plan. Square and Lightspeed both offer a wide array of ecommerce integrations, too, so Shopify isn’t the only multichannel solution on our list. But, if ecommerce is a primary focus of your business, the fully integrated Shopify solution is hard to beat. Shopify works on iOS and Android, like most of the POS apps at the top of our list. You can use your own tablet and smartphone hardware as long as it’s a fairly recent model. You only need to purchase Shopify-specific hardware if you use Shopify’s payment processing, in which case you need their card reader. All Shopify plans include inventory management with unlimited SKUs. Shopify’s inventory management is slightly simpler than Lightspeed’s but still has the ability to import and export products in bulk, list variations like size and color, and assign existing barcodes or create new ones. Like Square, Shopify also automatically creates customer profiles with each new order and tracks customer transactions. Since Shopify POS combines ecommerce with in-store selling, the POS tracks customers across both channels. Shopify does not have all the CRM functions of Lightspeed, such as a VIP customer classification. But, Shopify does have a built-in email marketing feature, which most other POS systems like Square charge extra for. Shopify has a slick analytics dashboard with data on customer orders, sales, and more. Businesses can also see which products are selling, and view sales by location, staff member, or time of day. Shopify also has a separate mobile app to view all of the analytics on the go. Shopify’s analytics aren’t advanced or as customizable as Lightspeed, but still provides valuable insights. Shopify’s customer service is simply outstanding. You can access live help 24/7 via phone, live chat, or email. Shopify’s support team is top-rated in the industry, and issues are usually solved with one call or contact. All 24/7 support is included for free with any Shopify plan. Shopify is ideal for multichannel sellers, especially businesses or individuals that want to sell on social media, Amazon, blogs, and other non-traditional sales platforms. However, if you are looking for a POS app only for in-store or mobile sales, Shopify is not the best fit, as you won’t be taking advantage of its best features. Shopify also does not have the ability to accept payments offline, which is crucial for mobile vendors. Shopify has stellar reviews. Businesses love that the program is easy to use and really simplifies the process of running an online or multichannel retail store. Some reviewers say they wish Shopify had more customization and template options for online stores. But, overall reviews for Shopify are excellent. Visit our Shopify review page to read for yourself. Shopify is our top choice POS app for multichannel sellers. To get started, visit Shopify and create a free account to start your trial. Shopify offers a free 14-day trial, so it’s very easy to test out all of the features for yourself. 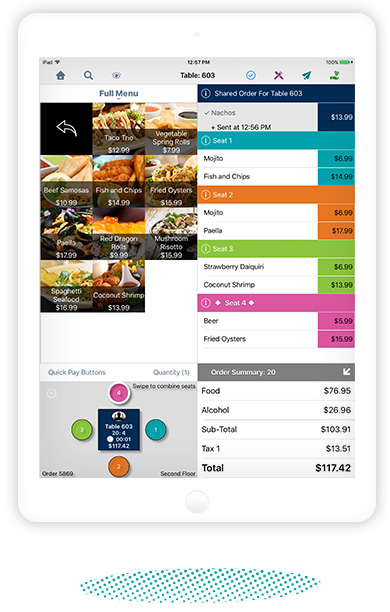 TouchBistro is an iPad POS restaurant management software that comes with over 200 features built in, including reservation management. Advanced front-end capabilities, including tableside orders and payments, and menu-costing features at a competitive monthly fee, make TouchBistro a great POS app for restaurants. TouchBistro has a monthly software fee that is billed annually. There are four tiers to choose from, and each comes with a different number of software licenses. If you plan on having a single checkout counter or register to ring all transactions, the Solo plan is a good fit. If you need two registers (one behind the bar and one at the hosting station, for example) then the Dual plan is a good fit. TouchBistro operates on iPads and Apple computers, which can be purchased separately or through TouchBistro. Like Loyverse, TouchBistro doesn’t have built-in payment processing, though it is currently in development. Businesses that use TouchBistro can choose one of TouchBistro’s many payment processing partners for integrated payments and shop around for the best rate. TouchBistro offers complete register systems including iPads, cash drawers, receipt printers, and more. Specific pricing is available through a custom quote. Businesses can have hardware payment plans starting from $44 per month. TouchBistro is technically not an app. It is a tablet-based software and has extra apps for customer-facing displays and viewing reports on the go. Hundreds of front-end features and a local area connection means managing orders and processing payments on TouchBistro is fast and customizable. All TouchBistro plans include unlimited users, menu management, remote reporting access, and the ability to operate offline. TouchBistro is built for iPads. The software can technically be downloaded on other devices, but it won’t be supported by TouchBistro’s customer service and tech support, so we recommend opting for an iPad. TouchBistro is one of the only POS systems on our list that isn’t compatible with Android devices. TouchBistro has great inventory management features for restaurants that track supply levels down to the ingredient based on sales. Restaurants can create recipes and run menu costing through this software. These features help restaurants order food more accurately and maintain healthy sales margins on each item. Not every restaurant POS has these features, especially ones at a modest price point, so inventory management is an area where TouchBistro really stands out. TouchBistro is specifically designed for restaurant owners, so there are features to map out the entire layout of your restaurant, move parties and tables around freely, and manage multiple floors and sections. With TouchBistro, you can view currently seated tables, including party size, check amount, and how long they have been there, all at a glance while also managing reservations for future guests. TouchBistro offers over 50 different reports with customizable templates. Similar to Square, TouchBistro lets restaurants create customer profiles and store information for future reference for free with the basic software. TouchBistro also has reporting for sales totals and sales statistics by category. TouchBistro’s reports seem to cover just about all of the basics, but the standout feature for restaurants is ingredient-level supply tracking and menu costing. TouchBistro offers free 24/7 phone and email support. They also have detailed guides and a frequently asked questions (FAQs) section on their website. Remember, you will only be able to receive full support if you use TouchBistro on the recommended iPad hardware. 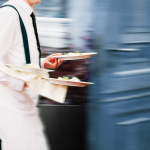 TouchBistro has tons of front-of-house features that are great for restaurant management. However, TouchBistro lacks some management tools, such as employee scheduling, payroll, and sophisticated CRM and loyalty features that are available in other POS apps like Loyverse and Square. TouchBistro also does not have built-in credit card processing, but you can still integrate your payment processing if you opt for one of their partners. However, TouchBistro cannot accept offline payments. TouchBistro has very positive reviews overall, but especially for sit-down restaurants that utilize TouchBistro’s table mapping and tracking features. Some reviewers wish that TouchBistro was entirely cloud-based instead of the hybrid cloud and local connection. Visit our TouchBistro review page for more details. TouchBistro offers a free live demo, custom quote, and free trial before signing up, so you have plenty of opportunity to test out TouchBistro’s restaurant management features. Visit the TouchBistro website to schedule your demo and free trial today. 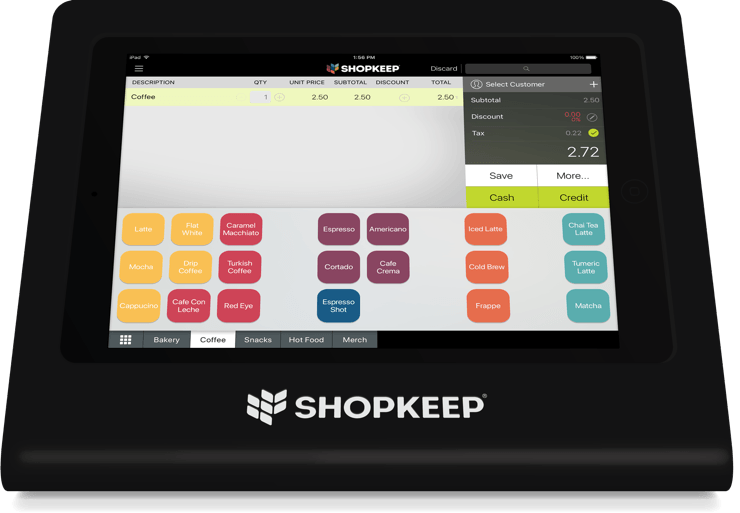 ShopKeep, a top-rated iPad POS app, is a mid-range option that falls neatly between Square and Lightspeed. ShopKeep offers more inventory tracking, employee, and customer management features than Square, but at a price point that is more affordable for specialty retailers than Lightspeed. 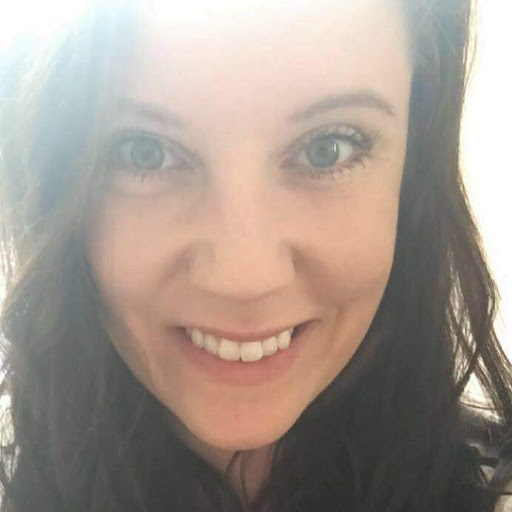 ShopKeep now provides custom quotes for each business, but previously, their software started at $69 per month for one POS. We expect that the pricing is still similar, which places ShopKeep firmly in the mid-rage price point for retail POS. ShopKeep is entirely quote-based, but starts around $69 per month for one register. This places ShopKeep right between Square (which is free) and Lightspeed, which starts at $99 per month. ShopKeep is competitively priced for the features it includes. ShopKeep has built-in payment processing called ShopKeep Payments. Like the rest of ShopKeep’s products, payment processing rates and equipment costs are quoted individually to each business. ShopKeep Payments is month-to-month with no long-term contracts. Businesses can also choose to use a different payment processing provider with ShopKeep. ShopKeep has hardware packages for iPad stands, receipt printers, cash drawers, and payment terminals. ShopKeep also sells iPads and accessories like Ethernet cables. ShopKeep has a suite of retail management features that are ideal for small and specialty retailers, including bulk inventory management, employee logins and permissions, reporting, and more all tied together with award-winning customer service. Like Square, ShopKeep’s checkout register is iPad-based, though you can access the store management dashboard via any computer or smartphone. ShopKeep is only designed for iPads, so that is what you will need to run ShopKeep POS. ShopKeep and TouchBistro are the only POS apps on our list that are exclusively for iPads. If you prefer Android, you may want to look into an alternative. In addition to the iPad POS, ShopKeep does have mobile apps for reporting. ShopKeep has ShopKeep Payments, so businesses can use ShopKeep for both POS and payment processing needs. Or, you can choose to work with one of ShopKeep’s many processing partners for integrated payments. With ShopKeep Payments, you can accept all major debit and credit cards, Apple Pay, and eWallet payments. ShopKeep includes a bunch of great business management features, including inventory management with the ability to manage thousands of SKUs in bulk with CSV files. ShopKeep also has low stock triggers, calculates profit margins, and tells you your best sellers. 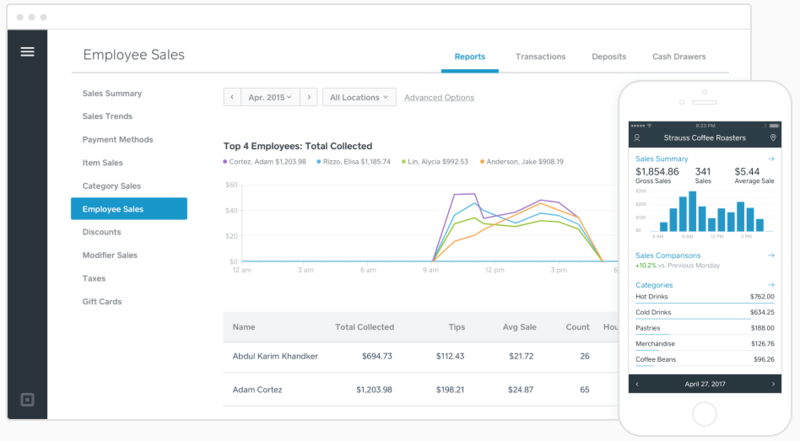 ShopKeep also has a decent amount of CRM features built in, including the ability to track individual customer sales history, capture customer information at checkout, send customized email receipts, and import customer information into contact lists. ShopKeep has solid reporting features, including sales reports by category, item, vendor, discounts, and register. Businesses can also view inventory reporting such as on-hand quantities and cost of goods. There are also customer reports including sales per customer, trends, and top-spending customers. Businesses can view sales by staff member and track employee time. Plus, ShopKeep has a mobile app for viewing reports on the go. ShopKeep has won a variety of customer service awards, and is the #1 Rated iPad POS on Apple’s App Store. ShopKeep customer service reps are known for being friendly and responsive. ShopKeep comes with free phone and email support. Their site also has a detailed support section with articles and FAQs. ShopKeep is the middle ground between Square and Lightspeed for brick-and-mortar retailers. ShopKeep is definitely pricier than Square, but doesn’t have the robust custom report builders that come with Lightspeed. Like TouchBistro, ShopKeep cannot process offline payments. If you need the ability to accept offline payments, consider choosing Square. Reviews for ShopKeep are generally positive. Particularly in the iOS app store, ShopKeep has very high ratings. Users like that ShopKeep is easy to navigate and say the customer service is friendly and helpful. Some reviewers report glitches or issues with system updates. Visit our ShopKeep review page for more user feedback. To get started with ShopKeep, visit their website to request a quote and a free trial. ShopKeep is worth a free trial, especially if you are looking for something a little more robust than Square, but at a lower price point than Lightspeed. Visit ShopKeep to get started. Imonggo differs from the other POS apps on our list because it’s browser-based. Since there’s no app to download, you don’t encounter any device compatibility issues, which keeps costs down. Imonggo offers a free POS system with robust inventory tools, simple setup, intuitive screens, and comprehensive sales reports, making it a great browser-based POS option. The base version of Imonggo is free. But if you want to use Imonggo to process credit cards, have multiple users, or access features like purchase orders or a loyalty program, you have to upgrade to their $30 per month plan. So most sellers are likely looking at a $30 per month cost for Imonggo, and should use that as their benchmark when comparing Imonggo to other POS apps. Since Imonggo is browser-based, it is truly hardware-agnostic. You can use a desktop, tablet, or smartphone as long as you have access to a web browser. Imonggo is the only POS app on our list that can be used on pretty much any hardware, which is excellent for making use of what you already have to keep costs down. Drilling down into sales and business management features, Imonggo’s one-user free plan covers much that a small operation needs for comprehensive inventory tracking, sales tracking, recording customer data, and running reports. However, Square’s free plan provides many of the same features along with convenient, built-in credit card processing and unlimited user access. With Imonggo, you need the $30 plan for that. Also, like Loyverse, Imonggo can’t yet integrate an ecommerce solution, unlike Square and the others on our list. Imonggo’s browser-based solution is the feature that really sets it apart in our field. There’s nothing to download, so mobile device compatibility is not an issue. If you have a browser, you can connect to your Imonggo data, period. Imonggo has a comprehensive inventory management system that rivals Loyverse, and includes the ability to import inventory from a CSV file, assign multiple barcodes, view transaction history and stock tracking, order management and reconciliation, physical count support, product tagging, and item photos and descriptions. Imonggo also has employee management features that allow you to create profiles, set roles, control permission access to certain features and data, and track employee performance. Imonggo also has a basic CRM function that records customer data and purchasing history. Unlike Square, which charges a fee, with Imonggo you can run basic email marketing for free. Like Loyverse, Imonggo’s customer service is primarily via chat. Imonggo will answer all of your questions over chat, but it can take a while to get a response. Imonggo also has an active community forum and comprehensive online knowledgebase. Overall, Imonggo is a pretty solid free POS option, especially for the low price of $30 per month with no need to purchase extra hardware. However, Imonggo is a very simplified POS that is strictly for in-person sales. There are no ecommerce integrations and very limited options for integrating other features. Also, Imonggo is limited in terms of payment processing: the only gateway it is compatible with is Authorize.net. Imonggo doesn’t have many online reviews available. But, those that are available are mostly positive. Users like the low price and that Imonggo can be used on any device with an internet browser. Visit our Imonggo review page for additional details. Imonggo is very easy to use and comes risk-free. Standard Imonggo is completely free to use. The Premium plan has a free 30-day trial with no credit card required. Since Imonggo is browser-based, there are no downloads. The only setup is integrating your payment processing. Visit Imonggo to create your free account. If you want to accept credit cards in-person using a mobile device or countertop register setup, there’s really no reason not to use a POS app. POS apps offer valuable insight into what products are most profitable, help streamline your ordering process, and manage both customers and employees. The best POS apps do all of these things at a low price. Square is consistently the top choice for free POS apps among users for its convenient, built-in credit card payments and array of business management tools. Square is free to use, easy to navigate, and its payment processing rates are extremely competitive, especially for small businesses. Visit Square to create your free account.